I’ve been thinking a lot about home decor trends lately. I guess because it’s the new year and I always have this urge to refresh our house around this time. I love to keep up with what’s new and in style, but it’s important to stay true to your own style too. 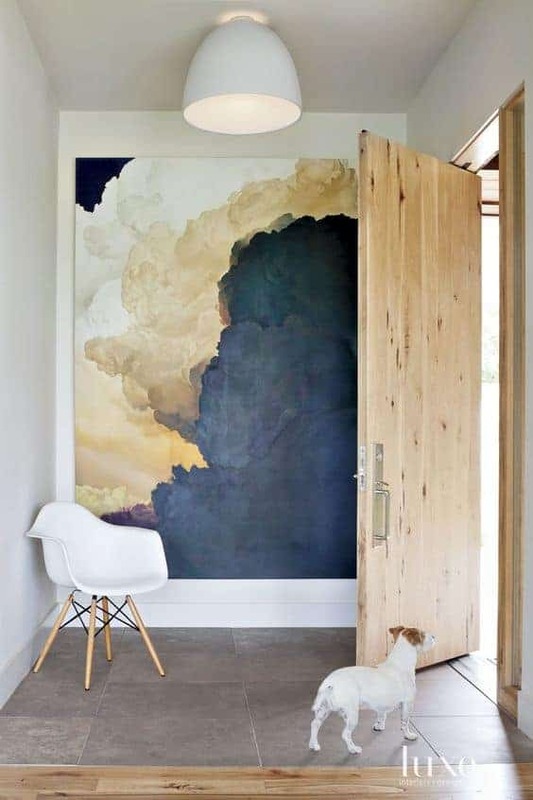 One of these home decor trends I’m seeing – wall art. 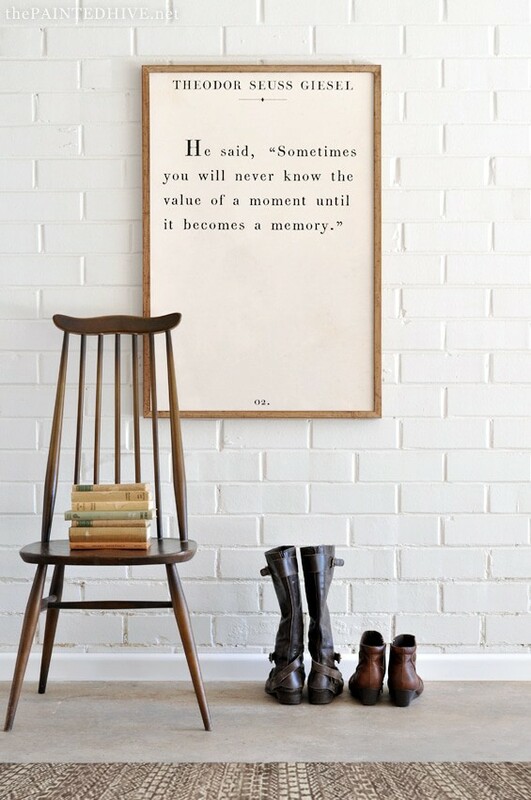 Large wall art to be exact. 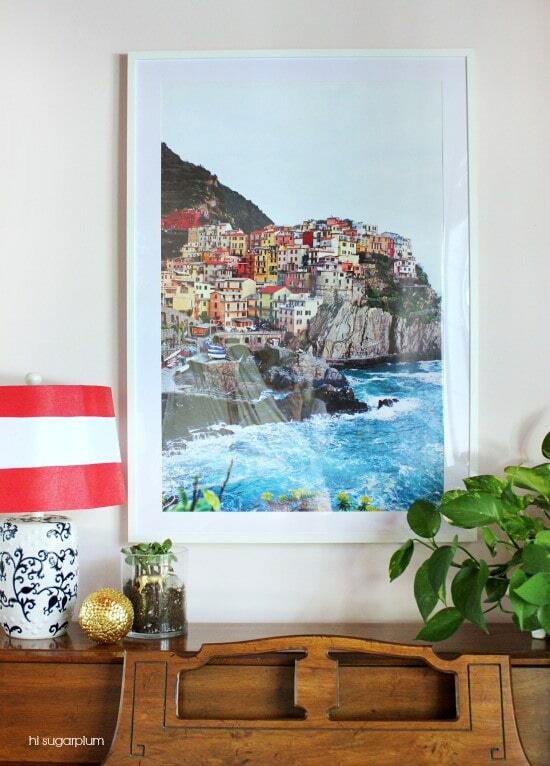 According to Pinterest, large scale wall art searches are up 637%. Yes you heard that right! 637%! It’s time to get some big art up on those walls. I do think art is a very, very personal choice. Artwork can inspire one person and turn another one off at the same time. 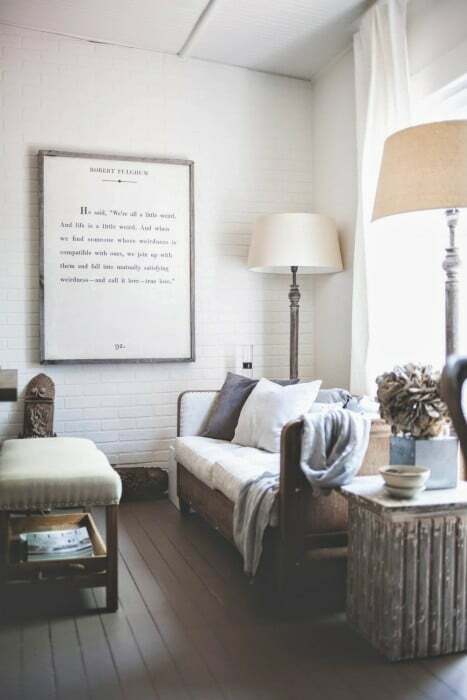 These are just some large wall art ideas to get the wheels turning a little bit. 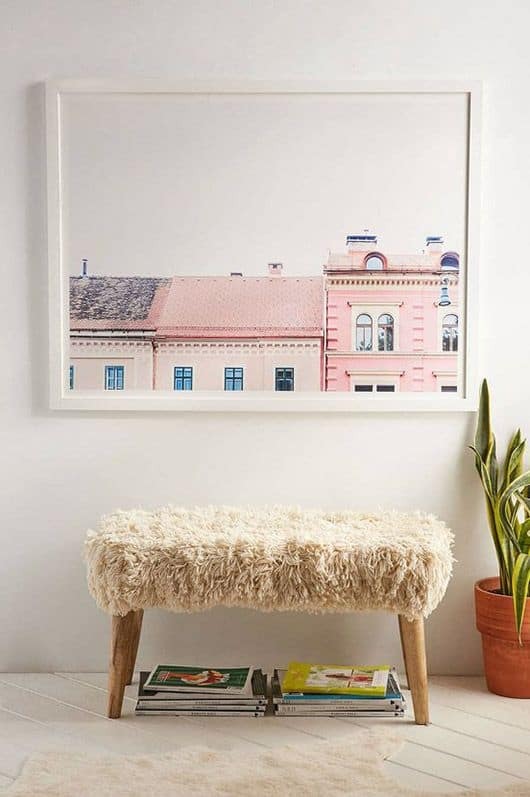 Maybe you have a large blank wall that this would fit into perfectly. Or – maybe you are one of the 637% that are already searching. By the way – if you are looking for how to hang a picture straight – I have an easy trick for you! Ok, yes had to start with abstract. 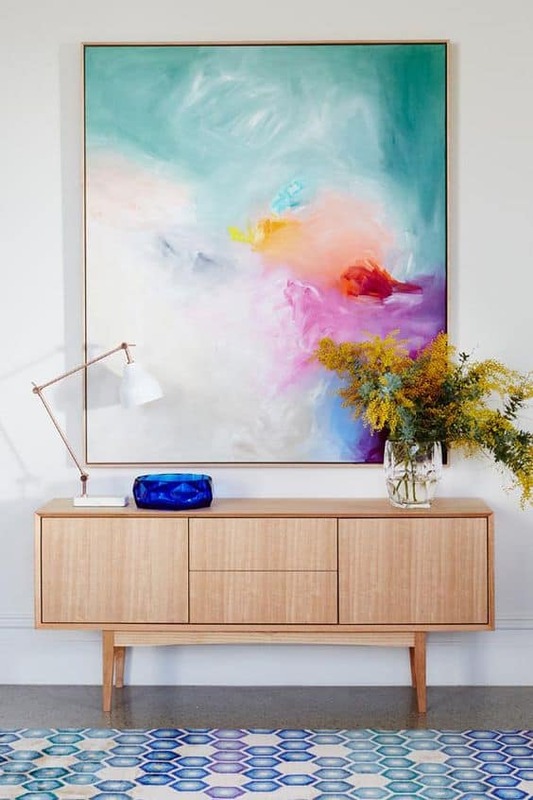 I love that you can pretty much find the colors you are looking for in abstract art. 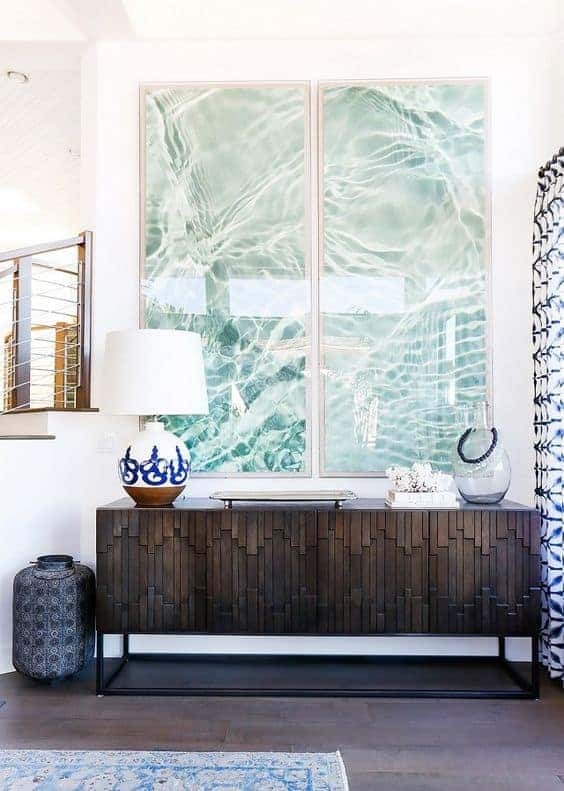 Somewhere out there, there is a piece of abstract art that will work with your color scheme. 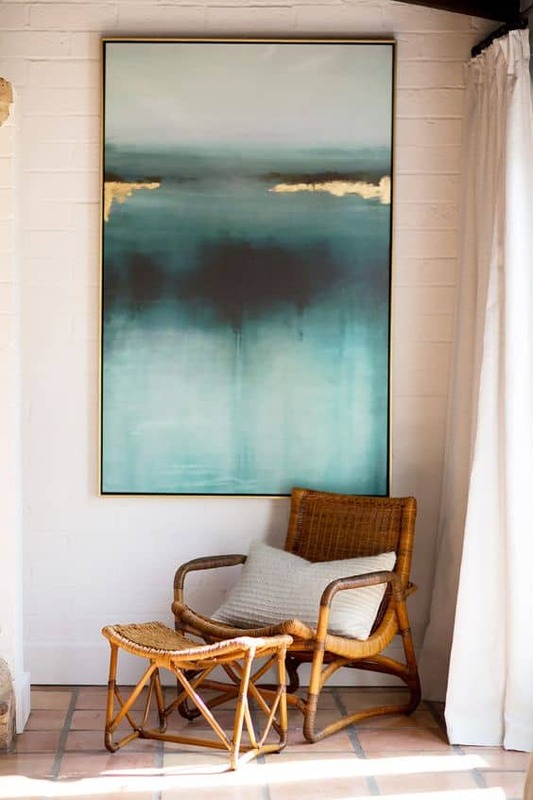 There is something so soothing about abstract art to me. Sometimes we don’t need to go any further than our own cameras for artwork. Maybe you have adorable pictures of your kids, or some cool travel photos. Blow them up and frame them. 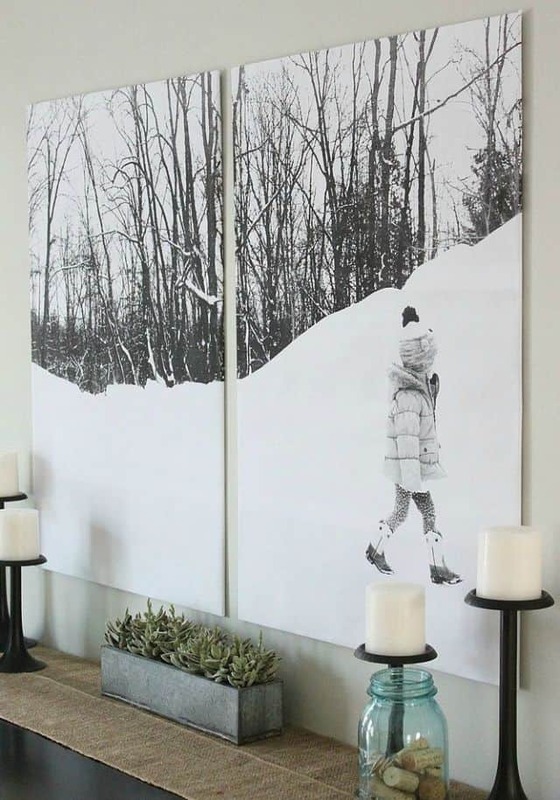 This totally counts are large scale wall art! 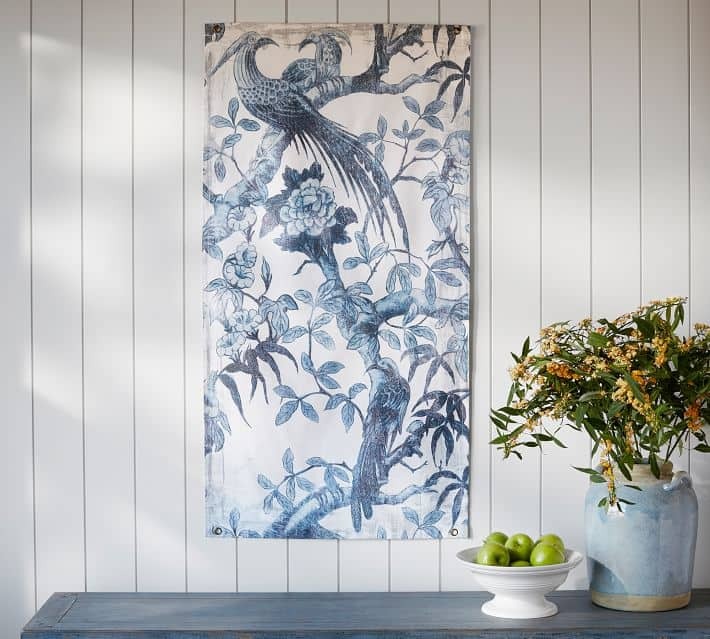 Tapestries and canvas add a bit of texture to a wall too. This one from pottery barn is so pretty. I love this! 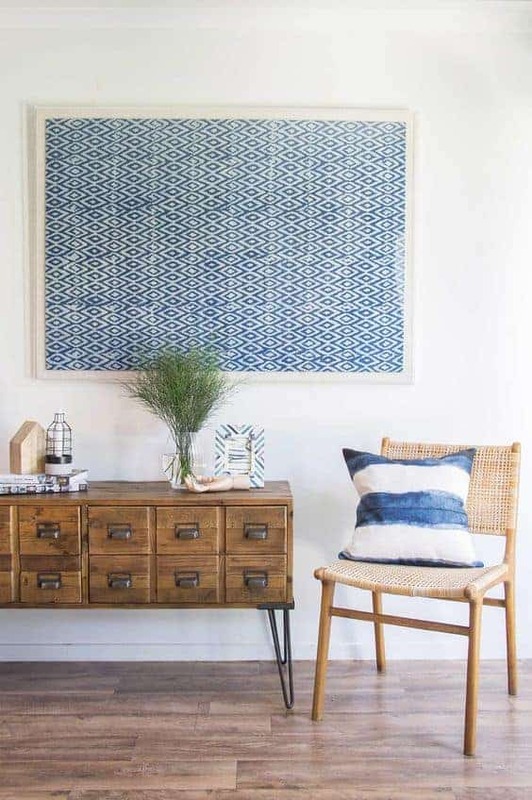 Frame some patterned or shibori dyed fabric. I definitely have to try these. Blow up a page out of your favorite book. This looks incredible to me. The Painted Hive (one of my favorite blogs ever ever ever) gives a fantastic tutorial and the free printable! Head on over to her website to check it out. Which one is your favorite? Let me know in the comments! 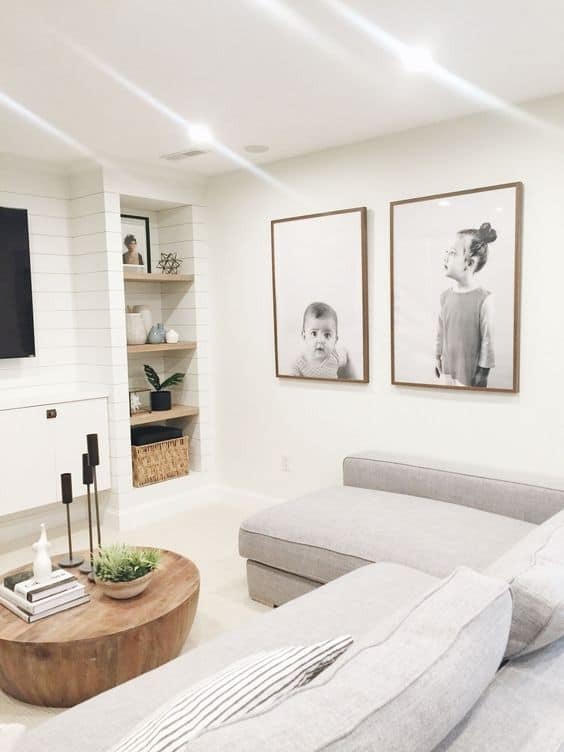 I can’t wait to DIY these large wall art ideas. 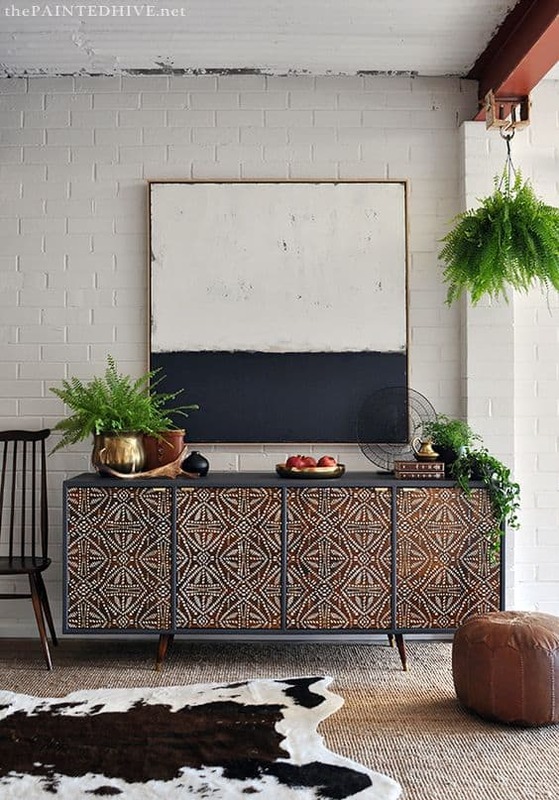 Check out my Pinterest account for more wall art and DIY decor ideas. Have a great day everyone! 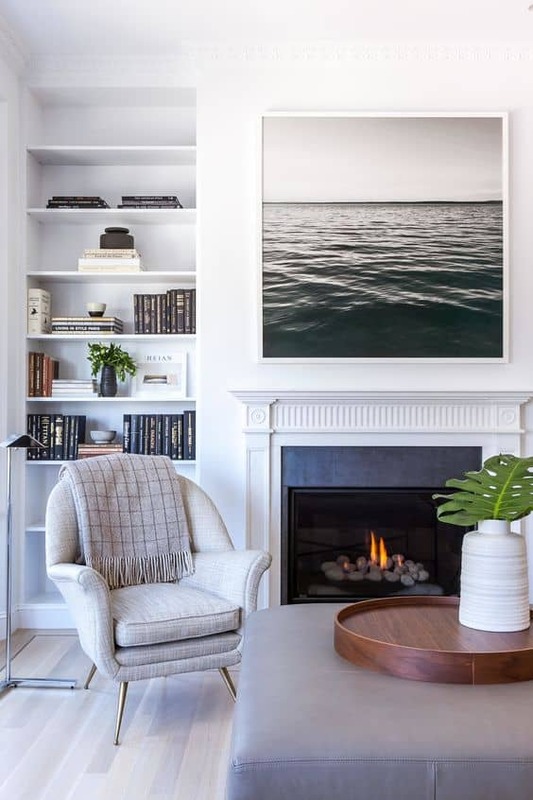 Large wall art is a great way to enhance the vibe in your space. 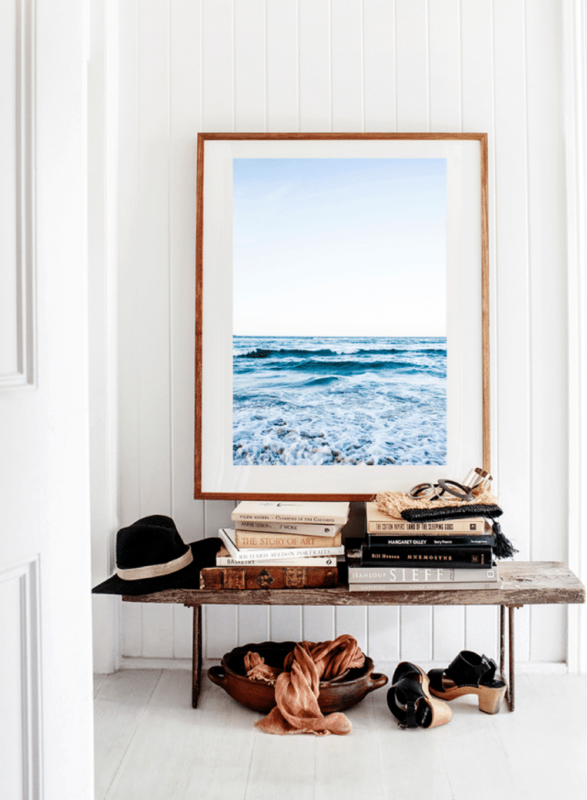 It’s time to say goodbye to those huge bare walls with wall art that is truly oversized. 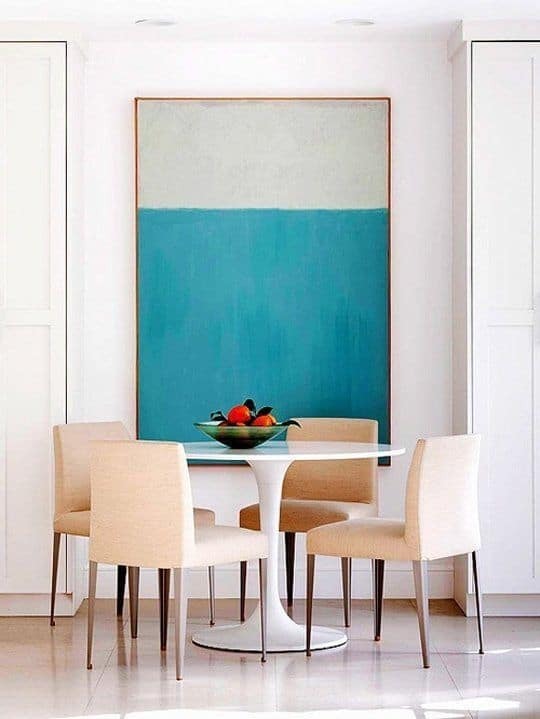 When the right artwork is hanging in the right place, you can feel a transformation of the vibe and energy in the room.